Samaria Gorge located in the region of Chania in Crete is such a pleasant surprise to all, locals and visitors. The Samaria Gorge is a National Park of Greece since 1962 on the island, a major tourist attraction of Crete and a World's Biosphere Reserve. 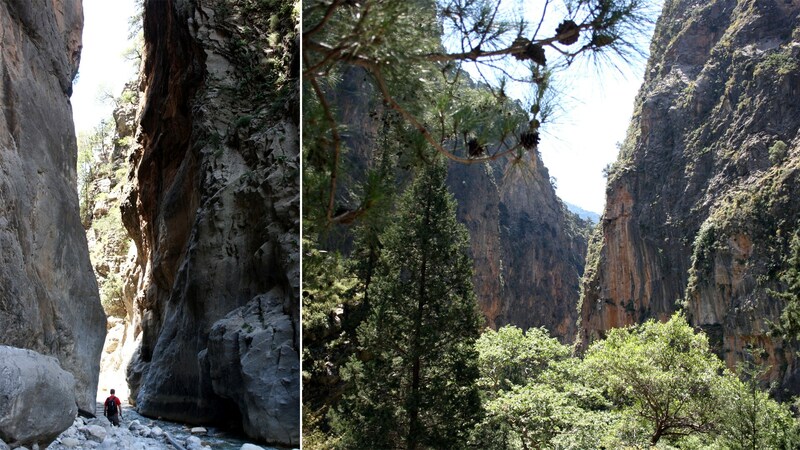 People that have walked the Samaria Gorge do not expect to come across such a different kind of natural beauty although they might have been coming back to Crete year after year. However as with most valuable things in life it takes an effort to be able to inhale this beauty and the ones that will accept the challenge of walking the Samaria Gorge will certainly feel lucky and rewarded. Although most people believe that Crete being an island all that is to it are beaches which are actually amazing and a very strong magnet, the mountains of Crete hold equally incredible natural beauty.